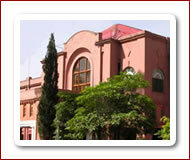 It is to inform that new Tutorial Groups of UVAS Lahore Campus have been updated . All students are directed to attend the Tutorial Class regularly in the specified time (Thursday 11:20 AM). List of Respective Tutors and Students is available on UVAS website. It is Further Directed that attendance will be marked on CTS system & Lecture Shortage will be observed in case of Non-Compliance.